It's Shark Week of a different variety, with The Meg hitting theaters and now the first trailer for sequel 47 Meters Down: The Next Chapter. Last summer's hit was something of a surprise, earning $61M on a meager $6M budget, a sequel was quickly ordered and put into production, as you can see by the quick turnaround on this footage. Director Johannes Roberts and screenwriter Ernest Riera are back so there is at least some continuity here. 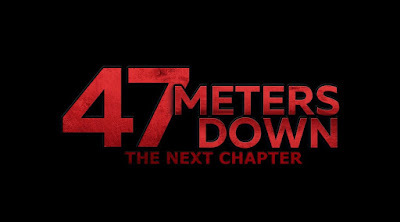 47 Meters Down: The Next Chapter opens June 28th 2019.